Phyllis Hayes-Principal CDA, Director YBW B.Phil (Hons) RAD RTS. ISTD CDE (Modern, Ballet). Phyllis has been both owner and principal of Corrib Dance Academy (CDA) for twenty years. Previous to moving to Galway, Phyllis spent five years teaching at Royal Academy of Dance (RAD) schools in Italy, Greece and Germany where she prepared many students for graded and vocational examinations as well as staging numerous performances in venues as diverse as a converted cinema in Greece and a piazza in Southern Italy. Phyllis is one of the most highly qualified and experienced teachers in Ireland having added to her teaching diplomas in classical ballet and modern dance by completing a B.Phil in Ballet and Contextual Studies from the University of Durham in 2002. In 2003, Phyllis founded a vocational training programme to allow her most able students to be identified and their training streamlined over the years. She became a mentor for the RAD in 2005, enabling her to train teachers under the auspices of the RAD. 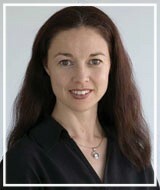 In November 2007, she was a finalist in the JCI Galway Entrepreneur of the Year Awards. In addition, in 2007, Phyllis co-founded Youth Ballet West with her sister Judith Sibley and is presently serving as Managing Director. Ciara Kavanagh. BA (Hons), ISTD DDI (Modern Theatre) RAD RTS. After completing a BA in English and Psychology, Ciara trained at the Margaret Howard Theatre College in Hertfordshire, where she gained invaluable experience under the tuition of many West End and Broadway performers, professional ballet dancers and ISTD examiners studying ballet, modern, jazz, tap, hip hop, contemporary and musical theatre. She then attended Inchicore College in Dublin where she completed her DDE in Modern Theatre to become a qualified ISTD teacher and achieved her Vocational Advanced 2 Examination (Level 4 Diploma) in Modern Theatre. During this time she also gained Advanced 1 in Tap and completed the CBTS programme to become a fully registered and qualified RAD ballet teacher. 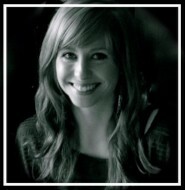 Ciara originally studied Ballet and Modern at Corrib Dance Academy and returned to the school as a teacher in 2009. She founded her own dance school in Gort in 2013. She has recently commenced working as rehearsal assistant for Youth Ballet West. Ciara also works in primary and secondary schools. This is her 4th year as Artist in Residence for a local primary school and the 5th year as choreographer for Presentation College, Athenry. Sorcha is a registered ballet teacher with the Royal Academy of Dance, having graduated from the Academy's international Certificate in Ballet Teaching Studies programme. 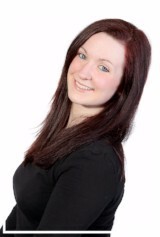 She has been working with Corrib Dance Academy since 2012 and teaches many of the junior classes and early grades. Sorcha completed Grade 8 RAD Ballet, Intermediate, Advanced Foundation and Advanced 1 Vocational level ballet. She has an honours degree in music, majoring in performance from NUIM and holds an Associate Diploma and a Diploma in piano performance with the London College of Music. She runs the Sorcha Barry Piano School in Galway city. Her knowledge and understanding of music adds to her teaching skills demonstrating to her students the importance of musicality and performance in dance. In 2012 she achieved her ADPA; an internationally recognised diploma qualification developed for teachers working with young people in the performing arts. She was a member of Youth Ballet West for the 2012-2013 season. Sorcha is a dedicated and enthusiastic teacher who aims to make classes both productive and enjoyable while attending to a student’s individual learning needs.